Abstract : Each year in Europe 50,000 new liver cancer cases are diagnosed for which hepatic surgery combined to chemotherapy is the most common treatment. In particular the number of laparoscopic liver surgeries has increased significantly over the past years. This type of minimally invasive procedure which presents many benefits for the patient is challenging for the surgeons due to the limited field of view. Recently new augmented reality techniques which merge preoperative data and intraoperative images and permit to visualize internal structures have been proposed to help surgeons during this type of surgery. One of the difficulties is to align preoperative data with the intraoperative images. We propose in this paper a semi-automatic approach for solving the ill-posed problem of initial alignment for Augmented Reality systems during liver surgery. Our registration method relies on anatomical landmarks extracted from both the laparoscopic images and three-dimensional model, using an image-based soft-tissue reconstruction technique and an atlas-based approach, respectively. The registration evolves automatically from a quasi-rigid to a non-rigid registration. Furthermore, the surface-driven deformation is induced in the volume via a patient specific biomechanical model. 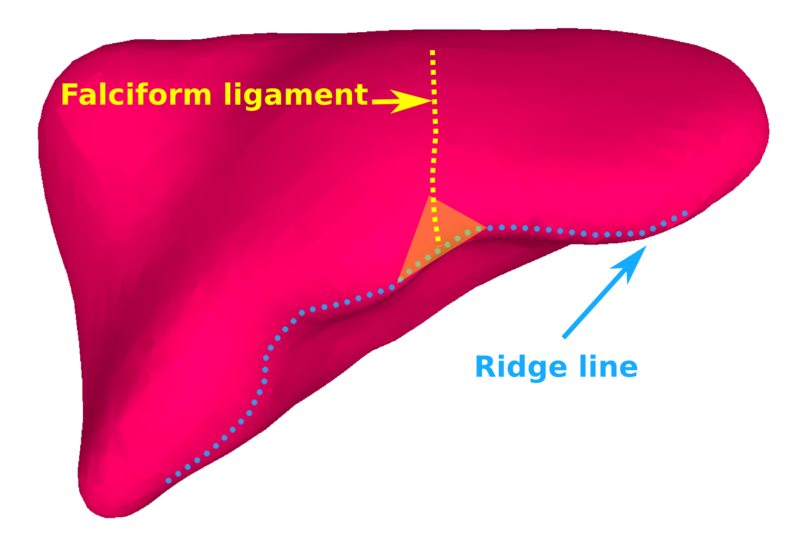 The experiments conducted on both synthetic and in vivo data show promising results with a registration error of 2 mm when dealing with a visible surface of 30% of the whole liver.